According to Buddha’s amazing view about the human mind, we all have so much potential. The very word “buddha” in Tibetan – Sangye – expresses this potential. “Sang” implies the total eradication from our mind of all ego, all fears, attachment, anger, jealousy and other states of mind that cause us so much pain. “Gye” implies the development to perfection of all the goodness within us: love, compassion, wisdom, confidence. 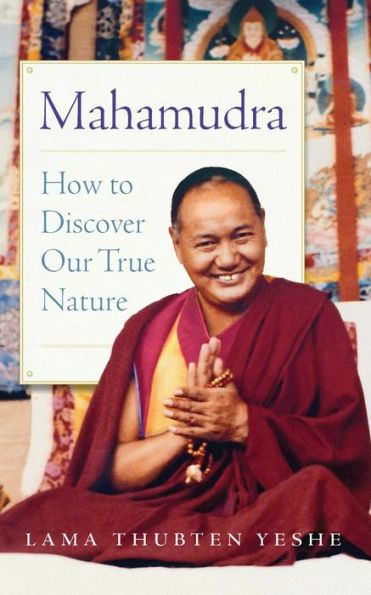 In Lama Yeshe’s beautiful new book, Mahamudra: How to Discover Our True Nature, Lama explains so clearly, so simply, how to get in touch with that natural potential through meditation on the mind itself, the unique characteristic of mahamudra meditation. Join Ven. 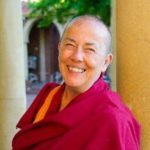 Robina for this unique multi-day course as she guides us through the topics covered in Lama Yeshe’s new book. Copy of the book: Mahamudra: How to Discover Our True Nature included with registration. Saturday: 1:00pm to 5:00pm with a tea break. See www.robinacourtin.com to read Ven. Robina’s active blog, tour schedule, and other news.